Understanding and managing workforce turnover is becoming more scientific. This is great news because turnover – especially voluntary turnover – has real consequences for an organization. Hiring and training new workers, addressing declining morale, managing through temporary skill, productivity, and capacity gaps during vacancies, and even surviving the loss of valuable relationships and institutional knowledge can be costly and difficult for companies to overcome. In a newly released whitepaper, Revelations from Workforce Turnover. A Closer Look Through Predictive Analytics, the ADP Research Institute has taken on the challenge of better understanding workforce turnover by applying predictive analytics to its massive database of employee information. Their findings not only move key industry benchmarks from speculation to clear fact, but also reveal connections among dozens of workplace characteristics that point to the likelihood of turnover. Studying turnover in the past has been challenging because the data available has been inconsistent. Largely based on surveys or company interviews, each data point was often an educated guess, a partially measured projection or even a misunderstanding, creating substantial margin for error. 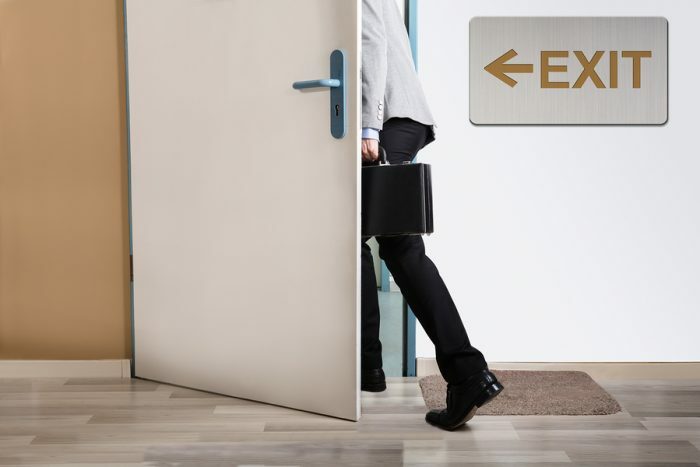 The risk for turnover can now be measured, and the factors within a company that are most clearly contributing to that risk can be pinpointed to help employers predict, and potentially reduce, unplanned departures. In fact, the study determined that when a company’s historical turnover rate is applied to the probability model established in the research, the model can identify “at risk” employees at a rate of five to six times higher than guesswork. There is a seasonality to turnover: The majority of turnover (voluntary and involuntary) takes place in the month of September, when nearly 1 in 17 employees leave. March has the lowest rate of turnover. However, there are some exceptions. Education turnover, understandably, peaks in July when the academic year ends and Manufacturing has the lowest turnover in January. Turnover rates vary by industry: The highest average monthly turnover (voluntary and involuntary) is in leisure and hospitality (9.1%), followed by construction (6.2%), and education and health (5.5%). The lowest turnover rates are in manufacturing (3.4%), with the finance (3.8%) and information (4.1%) industries close behind. This data should be helpful for employers to compare their own turnover rate relative to the national average and also within their own industry. The majority of turnover is voluntary: Looking at when employees chose to leave, the highest voluntary turnover (72%) was found in accommodation and food services (a sub-set of the leisure and hospitality industry) and the lowest was found in administrative, support, waste management, and remediation services (58%). More than 40 different factors can contribute to voluntary turnover: These factors fell into six buckets that included pay, promotion, overtime/premium time, commuting, experience and tenure, and other job characteristics. They had varying degrees of impact, depending on the industry and the specific company. Yet, overall, pay and promotion were the lead drivers of voluntary turnover. The next most influential factors were related to overtime and premium-time. Interestingly, commute time tended to be a more important factor than experience and tenure.